Don’t let washer problems make laundry chores difficult. Call us to repair washing machine trouble today. Available to offer same day service in Cranford, New Jersey, and trained to fix any washer type, our pros can help effectively. We are updated and ready to cover your washing machine repair Cranford needs whether your appliance is leaking or not draining. Let us check the gasket, motor, and any other part and do the required replacements. With Appliance Repair Cranford handling your washer issues, you can be certain of the results. The washing machine is always fixed right because we carry replacement parts to do any job necessary on-site and pay attention to details. We don’t like to miss detecting tiny problems with parts or tiny parts with problems. So the stage of troubleshooting is very important. Rest assured that our washing machine technician utilizes special equipment to diagnose and repair the appliance. We do any washer service with equal commitment. When these appliances break down, careful inspection and thorough repair service is required. But the installation of a new washing machine requires equal diligence. If we don’t play by the book, the client might be confronted with problems. The appliance might leak. With us, you have peace of mind that washer installation is done correctly from start to finish. Whether your appliance is a comb washer & dryer appliance or separate unit, you can trust the service to us. And you can be sure that any washing machine repair service will meet your expectations in terms of response time, quality of spares, effective work, and professional techs. Call us to fix, install, and maintain your washer. No matter which service you hire us to do, we do it well. All experts in our company in Cranford are certified and licensed. Everyone in our team is aware that such appliances are too essential to every household. And so we are always ready to cover your needs and guarantee quality work. Rely on us whatever service you need. 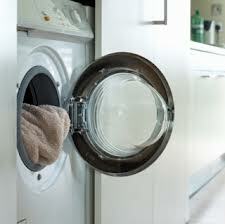 Call us now if you want washing machine repair in Cranford.